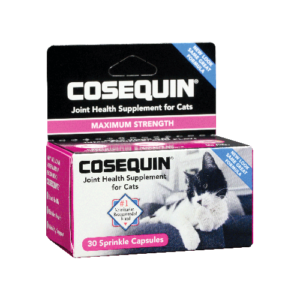 What is Cosequin® For Cats Soft Chew? The trusted Cosequin® brand is now available in a convenient and tasty soft chew for cats! 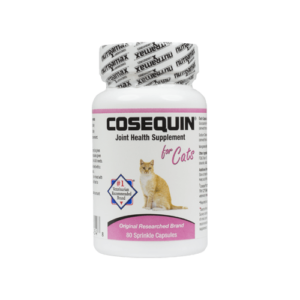 Cosequin® for Cats Soft Chews combine glucosamine hydrochloride and chondroitin sulfate for joint support with omega-3 fatty acids to help support skin and coat health and overall wellness. 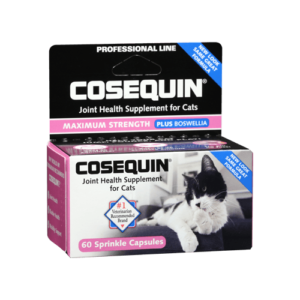 Cosequin® for Cats Soft Chews may also support bladder health. 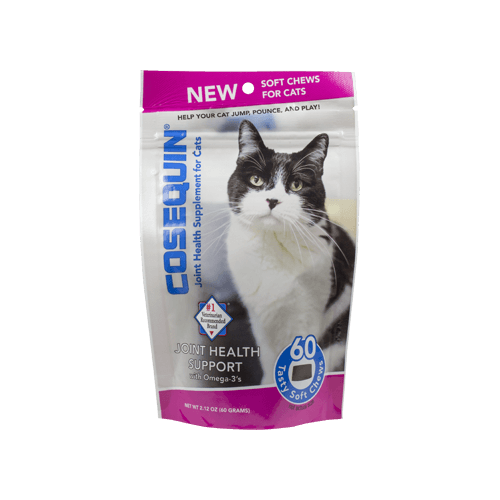 Each bag contains 60 soft chews for cats of all sizes. 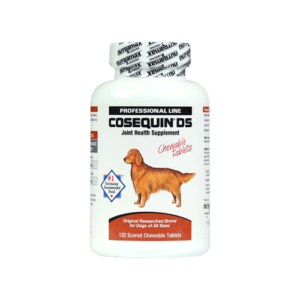 The recommended initial administration period is four to six weeks; however, some cats may respond sooner. 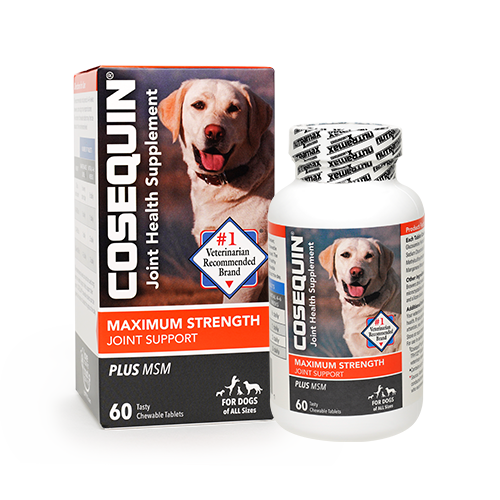 The number of soft chews may then be reduced to the maintenance level. 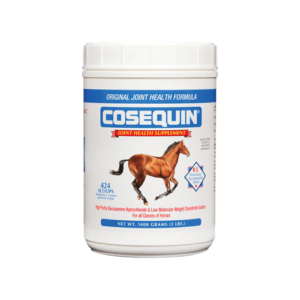 ▲ Contains up to 10% moisture.